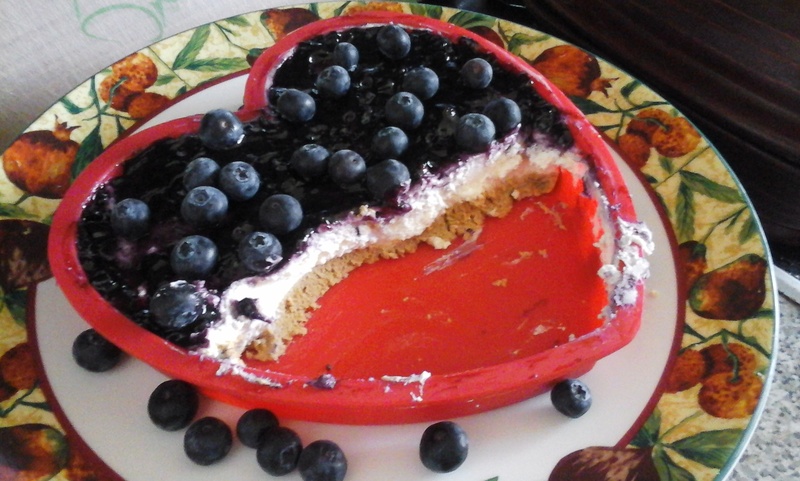 It was my daughter’s 7th birthday this week and for her ‘cake’ she wanted a blueberry cheesecake, her favourite dessert. As two of us in the family are dairy free I also had to make a cheeseless cheesecake, so here are my recipes for both. These are adapted from Nigella Lawson’s recipe in ‘Nigella Express‘. 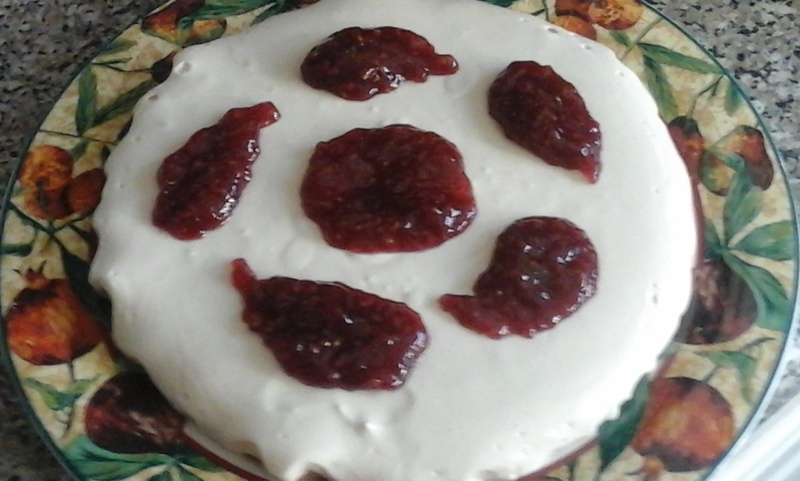 I’m not sure the cheeseless one is the best dairy free cheesecake and I would love suggestions on how to improve it but it was edible and a pretty good alternative. Whiz the biscuits in a food processor until beginning to turn to crumbs (don’t whizz too hard!) then add the butter and whiz again until the mixture clumps. Lightly whip the double cream and fold it into the cream cheese mixture. Spoon cheesecake filling on top of biscuit base and smooth off. Put in the fridge overnight of for at least 3 hours. When you are ready to serve, unmould (or not!) and spread blueberry conserve over the top and sprinkle with fresh blueberries. For topping I used 1 x 284 jar St Dalfour Rhapsodie de Fruit Raspberry Spread and some fresh raspberries. Method – exactly the same as for cheesecake substituting the cream cheese for the cheese spread and beating the yoghurt in with this mix (it’s not going to whip!). You can of course use whatever fruit topping you like, these ones worked for us. I’d love some comments on how to make a cheeseless cheesecake that sets, this goes slightly firm but nothing like a real cheesecake. I use that particular cheesespread as it’s the only one available locally, there may be alternatives near you, and again I’d love to know what works for you.